WebFire Review – Will It Really Get You Free Traffic? Home / Internet Marketing / Traffic Generation / WebFire Review – Will It Really Get You Free Traffic? WebFire is a new traffic getting software that claims to put your website on the first page of Google, Yahoo and Bing in 7 minutes. A bold claim, indeed. WebFire backs that claim up with a Triple Guarantee, something you just don’t see very often, if at all. Shawn Casey and Brian Koz spent 10 months and over $100,000 developing WebFire. Their goal was to give everyone, even the newbies, a tool or set of tools they could easily use to start generating targeted mass traffic to their website as quickly as possible but at the same time make it affordable to anyone. They were so confident that WebFire would be the one and only tool for thousands of online business owners that they decided to front the cost between the two of them. Shawn is no stranger to online business and has a reputation for being a leader and top performer, proving that he must know something about getting traffic. From his experience, anyone who is serious about getting long term, quality traffic to their website must be willing to purchase around 7 or 8 different products and spend 6+ hours a day using those tools. What Shawn wanted to do with WebFire was give people one product and one place to go that would also simplify or streamline the process. So what exactly is Webfire? It’s a website owners dream come true. It’s a virtual briefcase containing 22 very powerful and easy to use tools that will help you get your website ranked on the first page of Google, Yahoo and Bing extremely fast. Even if your website is brand new. You don’t even if you don’t own the website… say for example you want to get traffic to your affiliate link. 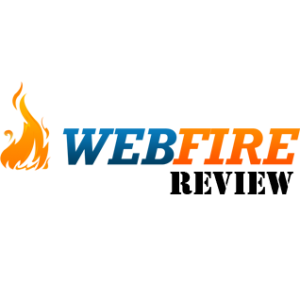 Although some of the WebFire tools give you a lot more control over search engine rankings if you own the website, the majority of your traffic will come from the other tools WebFire offers. There are tools in WebFire for just about everything you could possibly need and they are easy enough to use. You do not have to be an SEO expert to use them. I’ll give you a rundown of some of the WebFire tools or tool categories. A great idea that makes creating keyword targeted videos a snap. You simply type in a keyword and Video Firestorm finds a keyword targeted article and creates a set of slides, kind of like a Powerpoint presentation. Then you select an automated Female or Male voice and Video Firestorm creates a nice video for you. It doesn’t stop there. Video Firestorm will also automatically submit your new video to some of the best video sharing sites on the internet and email you when it’s done. Video marketing is a powerful way to get people to your website and get ranked in the major search engines. With Video Firestorm you don’t even need a video camera or webcam. And remember, Google owns YouTube so you can guess they give YouTube videos a priority. There are two domain tools and I can honestly tell you I have about 5 different sources online that I have used in the past that take a lot longer to get results from than what WebFire does for me. One of the tools is an Expired Domain Finder. You type in a keyword and WebFire goes to work finding similar keywords first, then comes back with a list of available expired domains that contain your keyword. The main purpose of using an expired domain is getting a domain that already has page ranking and traffic. Keyword Domain Finder is similar but does a more in-depth search and doesn’t just look for expired domains but any domains available. Having your keyword in your domain is half the battle. It significantly increases your chances of ranking high and fast. There are 4 different site tools available in Webfire. You start with the Site and Market Analysis tool which analyzes your website and basically tells you what’s good and what needs some work. There’s a site submitter that submits your website to quite a few search engines and directories to help you get search volume and backlinks very fast. SEO Inferno impressed me. I am not an SEO expert by any means. I had no idea that WordPress did not support Title Tags, Keyword Tags, or Site Descriptions. This tool will walk you through installing a WebFire SEO plugin and gives you the ability to use different groups of titles, keywords and descriptions so you can do some split testing. At the very least though, it solves a major issue with WordPress that could prevent your site from getting ranked. In case you didn’t know, Press Releases can really ignite traffic. WebFire includes a Press Release generator that actually writes your press release for you and then submits it to several press release sites. This is one of my favorite tools in WebFire. If you wanted to, anytime you post a featured article on your blog or website you could send out a Press Release to draw attention to it. Article Marketing is one of the few methods you can use to generate free traffic and backlinks but unfortunately most online business owners never use this method. In the first 2 weeks after I launched my blog, I got 26 backlinks from authority websites using nothing but article marketing. Webfire includes two article tools. A spinner and a submitter. My personal opinion is, the spinner isn’t very good but the submitter does what it’s supposed to do and it’s fast. My suggestion to you is to either write your own unique articles tailored to your keywords or use the WebFire keyword tools and use one of the freelance websites to hire someone to write quality articles for you. It only costs $1-3 per article. Then use the WebFire article submitter to get your articles into the directories and start getting quality backlinks. There are a total of 7 keyword tools in WebFire. I can’t possibly go into each one in detail here but let me just tell you each tool serves a specific purpose and saves you countless hours of research. You don’t just want free traffic. You want targeted free traffic. The only way to do that is to do your keyword research. All of the WebFire keyword tools are based on your input and getting you ranked high and fast. They take certain things into consideration for you, like finding similar keywords that don’t have near the competition but still have plenty of search volume. You will never need another keyword tool once you get access to WebFire and those 7 keyword tools. I haven’t had a chance to try all of the lead tools but what I can tell you for sure is the Macroleads Fire tool is what sold me on WebFire. You will see Shawn demo this tool in the sales video. It’s every bit as powerful as he demonstrates. One of the easiest and fastest way to get backlinks and traffic to your website is by using the Comments and Guest Post method. This means finding keyword targeted websites that already get a lot of traffic and search volume and also allow comments or guest posts. For one good keyword I would spend up to 5 hours doing the research to find maybe 10 good places to leave comments. WebFire’s Macroleads Fire tool gives me a list of hundreds of places to leave comments in about 1 to 2 minutes. Enough that it would take me weeks to get to all of them even if I’m posting 10 comments a day on 10 different websites. Obviously this is one of my favorite tools that WebFire has to offer. Shawn Casey says it best… “You cannot make a dime if you don’t have any traffic.” One could easily spend thousands of dollars a month on SEO work and advertising to get a fraction of the traffic that WebFire will get for you and still may never get you on the first page of the major search engines. I’m tossing several of my tools in favor of WebFire. What about the cost? It’s a lot cheaper than you might think. Shawn and Brian could have easily charged 10 times what they are charging for WebFire. You can get it for as little as $29 a month. Just one of the tools available in WebFire is worth more than what they want for all of them. The time saved, for one thing, saves me a ton of money. Will it actually get you ranked in 7 minutes? Honestly, I think that depends on too many variables to give a firm answer. I do, however, believe anyone can get ranked in less than 24 hours. That means getting free traffic and lots of it the day after you start using WebFire. And I’m talking about traffic that doesn’t stop coming. I think anyone who has a website that needs traffic must have WebFire in their tool belt. If you don’t own a website but you are promoting an affiliate program or affiliate products or you are in a network marketing company, you still have a website that needs traffic. I suggest you start by watching Shawn’s incredible video presentation and pay particular attention to his demonstration of some of the tools and the Triple Guarantee. That Triple Guarantee should be enough to convince you of just how confident they are in their WebFire software. Thanks clay this has helped me a great deal in making up my mind to buy this software. Hey Mike, that’s a difficult, if not impossible question to answer. I do several things to get traffic to my different websites and affiliate offer pages. I think the best example I can give you is for this particular WebFire Review article. After I published it I used several of the WebFire tools to promote the article and started getting traffic to it within 24 hours. It’s long term traffic that continues to grow and grow and all the Google changes have had no effect on that traffic. I get enough traffic to this one article now, without doing anything actively to promote it anymore, that I get referral sales for WebFire practically every week. This may not be the definitive answer you were looking for but I hope it helps. Clay Montgomery recently posted..WordPress vs Empower Network – Which Blogging Platform Is Right For You? I started using WebFire a week ago and I.m starting to seeing results. There are a lot of tools in the members area and at first it was a little overwhelming. After going through them one at a time I can see the power of this system The videos are very helpful and easy to understand. The keyword tool is amazing and has help a great deal. So far so good! I agree with you, Garry. There are so many tools and they are very powerful. I have personally spent thousands of dollars on separate tools that don’t even begin to compare with the Webfire tools. There’s a lot of value there for the money. More importantly it’s the ROI we are all looking for. If you spend more it takes more work and more time to break even. Webfire makes it easier to break even very quickly and be in profit fast as well. In response to your comment about the vast tools feeling overwhelming, I strongly recommend everyone browse through the tools first to see what they are and what they do. Then try to determine where your website’s weaknesses are and begin with one or two tools that will counter those weaknesses. Learn how to use those tools and master them before moving onto one of the other tools. Clay Montgomery recently posted..Do You Believe Education Is Important? I am really skeptical that some one can see the results in 24 hrs. There should have been trial period. I’ll be honest (I always am)… I think the earliest you can see results is about a week. Which, in my opinion, is phenomenal. There are a lot of variables to consider though. If you have a brand new website that has little to no traffic and you were to use ALL the tools available with Webfire, you could very well begin seeing results (in the form of traffic) within 24 hours. Been sitting on the fence a week with this one, trying not to get hit by another software frisbee. I watched their video several times. But your critique convinces me that it truly is a super-powered bag of tricks. And they also guarantee to update the software. Just when i thought it could’nt get any better, then came along the “WEBFIRE” software that “BURNS” up the competition! The Webfire software does sound very cool Clay. Having targeted traffic does make all the difference!